I always try to make it to the 360 Bridge in November. 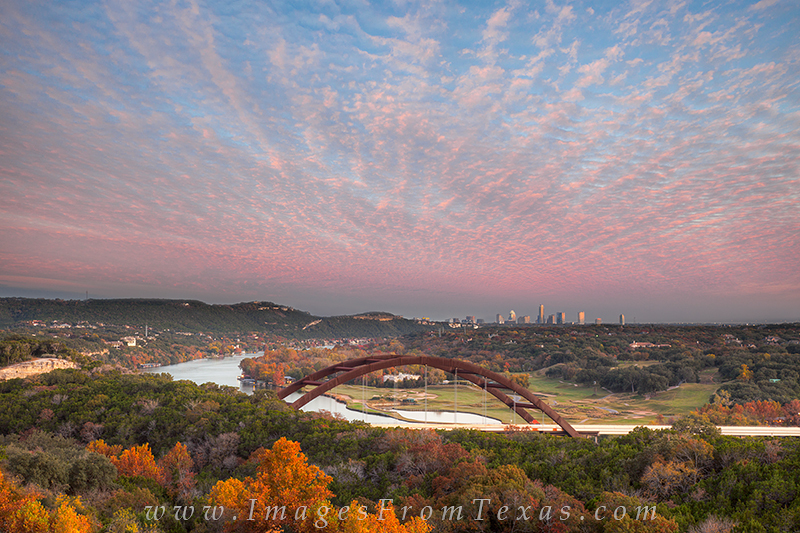 With the Austin skyline in the distance and the trees turning their Autumn colors, there is always hope for a nice photograph. On this evening with the sun at my back, a front was moving in and created some amazing clouds at sunset. Photo © copyright by Rob Greebon.